SPAIN’S Foreign Secretary Jose Garcia-Margallo is demanding Britain foots the health bill for expats and tourists. UK Foreign Secretary Boris Johnson is to meet his Spanish counterpart to thrash out a post-Brexit deal between the two countries. Top of Boris’ list of priorities is reaching an agreement on healthcare for expats living in Spain. Margallo – never one to shy away from controversy – is demanding that the UK government foots the bill for expats using public hospitals. However Johnson is hopeful of reaching a ‘Canadian-style’ agreement where 99% of healthcare expenses are waived. Margallo has not confirmed whether his plan includes or excludes expat residents who pay into the country’s social security. Next articleFood trucks… who needs them? Margallo will be rubbing his hands with glee. At last, a legitimate opportunity to show his hatred of Brits. Since he only has the Eton Mess to deal with, his task will be simple. 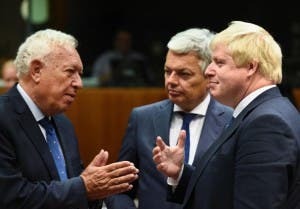 I’m no fan of Margallo but Boris wants out of the EU (correction, he backed Leave but really wanted to Remain) and openly admits that he wants to have his cake and eat it. Offering to pay for Brits’ healthcare direct would be a good way to start the negotiations and might help secure a good deal for Brits in Spain. We have already paid for your corrupt, poverty stricken country many times through EU funds. 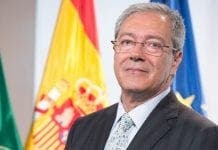 Spain continually leeches off the Northern EU states. The only reason Spain is in the EU, is for the free money. Once that tap is shut off you will be gone. I pay a lot of tax in Spain much more than i would in the UK. I object to being called an illegal immigrant. I have also been told by Spanish friends that the Spanish know how to avoid paying taxes. So i should look at yourselves to where the problems arise. We paid for 39 years in the uk. It is up to the uk to pay for us. Hope you lose all your bloody British tourists and if all of us pensioners have to leave then no more suma, padron, income tax, shopping etc paid by us. It’s only the Brits in coastal regions that keep a lot of the supermarkets and AKI’s and leroy Merlins etc going That will give you something to think about. The U.K. pays for pensioners and tourists now. as the whole world knows, most of the british immigrants in spain are illegal and a burden in every single aspect. as for the british tourists, the vast majority are like bunch of drunken hooligans. they cause more loss than profit. What’s up Pablo? Had your heart broken by a British senorita? You love us really, don’t you? He’s not a man to do legitimate business with Jane G. Give him an inch, he’ll take a mile. Besides, he’s no more Foreign Secretary then Rajoy is Prime Minister. At present, in Spain, there is no administration to do any sort of binding deal with. What does Margallo think happens at the moment. I think that is logic that all the people pay his bills in one or another way. It is not a issue of hatred . Stupid Spanish as usual – the UK already pays all legitimate health bills presented by EU governments for treatment. If the UK government found some balls, Spain is the best opportunity to legitimately play hardball and show the corrupt German controlled EU that we mean business. the uk is totally irrelevant. its just a tiny little island, more disunited than united. Stuart, what in the EU is “German controlled”? The refusal of most of the EU member states (including the UK) to take their fare share of refugees? The zero interest rate of the EU Central Bank, which expropriates German savers and pensioners? 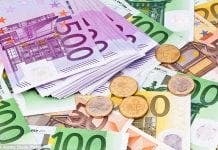 The German grants given to Italy, Greece, Portugal, Ireland and Spain to keep their financial systems running? The deal with Turkey about refugees which protects Greece from becoming a failed state? Perhaps the conditions which UK has to accept from the Brexit negotiations in order to be able to use the free European market in the future! Perhaps ‘German controlled’ refers to German collusion with Goldman Sachs in the bailouts and the rvolving door policy to hire German executives at Goldman Sachs, Lehman etc. The Germans are just compounding the debt in other countries. Wasting Germany’s money and pushing the other countries into deeper debt that they can never repay. They do this so they can control everyone. The Eu is simply a takeover bid to possess the other countries. I think the rest of Europe is waking up to this fact. Its dead in the water. Don’t rise to Pablo Cedron’s bait, I’m sure there are forces at work who would like to see us at each others throats. I have lived happily in Spain for over ten years and get on very well with my Spanish friends and neighbours. Place the blame where it lies which is with the politicians of all nations. you never stop with the arrogance do you, after two world wars any other people would have got the message. Your fat frau opened her mouth without any consultation at all with other EU countries and invited all and sundry to come to Europe. Of course she only wanted the middle class well educated Syrians – your leader created the problem you deal with it and don’t expect others to bail you out of a problem you Germans created – deal with it. You Germans knowingly oversold to southern Europe, knowing full well they could’nt pay. Your German banks bought loads of Greek Bonds that an idiot with half it’s brain missing would never have touched. You did’nt bail out Greece, you bailed out your banks. And now DB is virtually bust along with Commerzbank and the fat frau will break the EU rules and bail them out – have you any idea just how much the book value of it’s derivitives comes to – over €300 trillion. Want to hear about the Italian banks and how it is ordinary people in Italy that will lose everything. It is the EU countries that will have to accept our conditions. You Germans and the Swiss have been polluting the North Sea for decades with industrial and especially chemical waste. I have friends in a lovely little village in Brabant/Netherlands, that has a tributary flowing around it. There used to be a salmon cannery there but the salmon all died and this business died by the end of WW11. So polluted is the water that it is prohibited to enter it – entirely due to German and Swiss pollution – it is not a healthy place for Germans to go near, the Dutch are enraged. We can stop any shipping from Germany entering or leaving via the Channel until the water coming from Germany is clear and clean – and that’s for starters, we can also charge a tariff for using our waters – the Channel – now how much shall we charge? EU countries sell far more to us than we do to them – so let’s stop this trade immediately. We can source all our requirements from the rest of the world. The more hardball you try on us will give us a wonderful reason to eject the 4 million EU nationals working and sending money home. The housing market will get a helping hand in crashing, again very good for the ordinary British worker, making us much more competitive. Taking back our fishing grounds will mean much more expensive fish for the mainland – what’s not to like. German business wanted the Euro, not for the benefit of the EU as a whole but for itself. You Germans have a horror of inflation – the Weimar Republic, so you arrogantly impose austerity on the whole of Europe. When the Euro collapses as it must then a new Mark will rocket in value and make your production too expensive, I wonder if another little man with a stupid snot caching moustouche will step forward, stage right – vamos a ver. stefanjo/aunt Sally – will you ever post a rational comment – sarcasm is the lowest form of wit. It’s sad, you have never posted a rational solution to any situation, simply because you don’t have any – an empty vessel – that’s you. Blocking the English Channel is a “rational solution”? Actually Stuart, childish name-calling ranks well below sarcasm in the humour stakes. Pablo, Spain did really well at the Rio Olympics with seven gold medals. Some way to go though before matching the UK’s total of twenty seven. Perhaps, next time! Rio Olympics? ?’ And WHO cares about the olympics?? As far as the whole world knows, the english have not won anything in the most important sport, football, in the last 50 years. And the only time they won was because they were the hosts, and they cheated as always. Not to mention that the english premier league is a sad joke.